The statistic shows how much planning people in the United States put into making a purchasing decision regarding new headphones in 2017 according to a Statista survey. 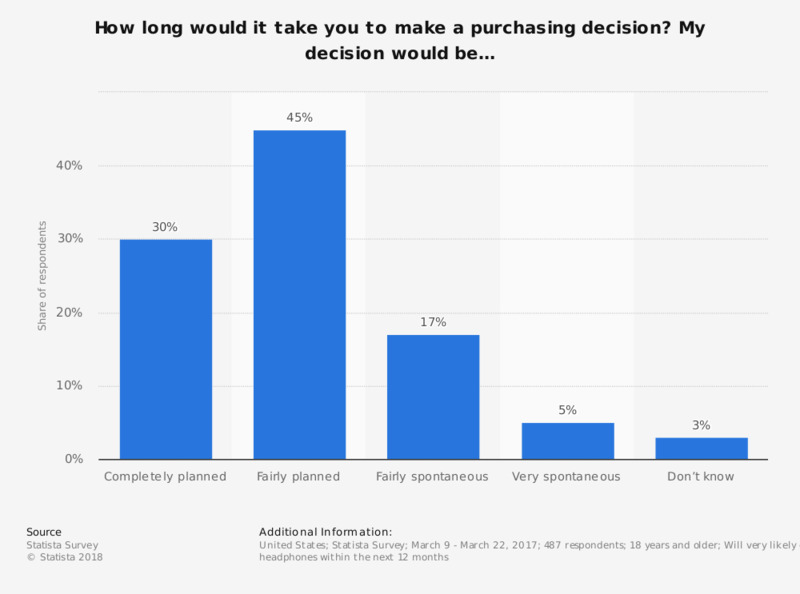 45 percent of respondents said that their purchasing decision would be fairly planned. What type of headphones would you most likely purchase? How many pairs of headphones do you own? How likely is it that you will purchase new headphones within the next 12 months? What type of headphones do you own? For which devices do you use headphones? What are the most important features to you, when purchasing new headphones?